Let’s face it most wedding DJs in Los Angeles are pretty ordinary. 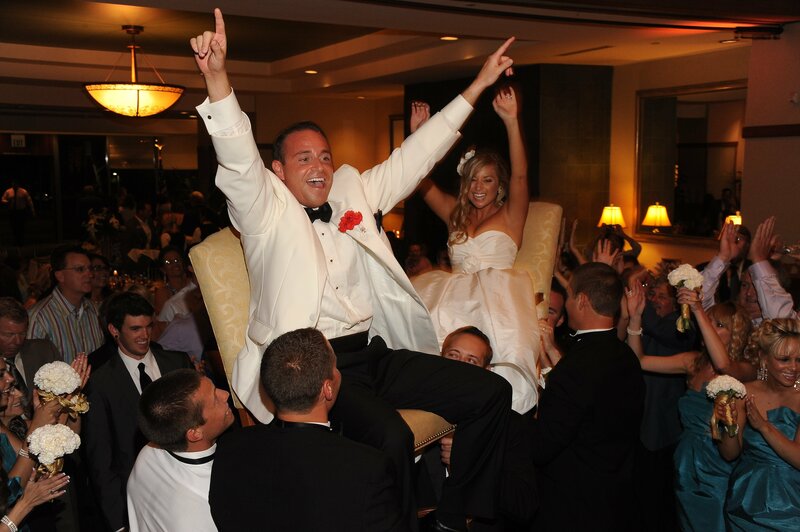 But at H2H we take the concept of wedding entertainment to a whole new level! From start to finish H2H has all of the bases covered including the ceremony and cocktail music, décor lighting and of course our incredible reception entertainment that has made H2H legendary in the Los Angeles wedding DJ party scene. 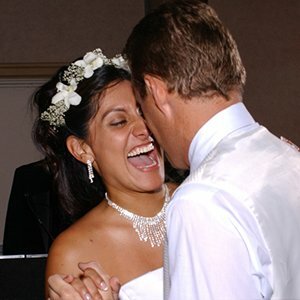 H2H wedding DJs offer the perfect blend of dance floor classics and the latest hits to keep any dance floor packed. Additionally, our MCs embody all of the attributes of a top-level entertainer: a polished sophisticated Master of Ceremonies to oversee the formalities and a captivating charismatic entertainer that will turn your dance floor into an interactive experience. Our level of professionalism and energy will thrill your guests as we engage your crowd and treat them to a level of wedding entertainment they have never witnessed before! In comparison to other DJ companies in Los Angeles, H2H has over twenty-five years of wedding DJ experience making H2H the most experienced and trusted name in wedding DJ entertainment. H2H is the only company that regularly recruits and trains it’s staff to create incredible performers. Each member of our team has undergone an extensive training regiment that includes hours of studio and on site event instruction. This ensures that every H2H staff member is not just a performer but a professional. 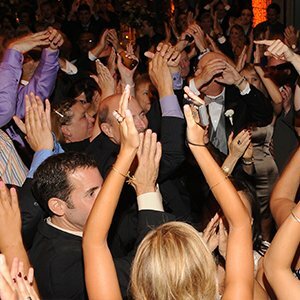 When it comes to wedding DJ entertainment in Los Angeles, H2H sets the highest standard possible. That’s why our Classic and Premium wedding entertainment packages come with not only a seasoned professional DJ but a polished master of ceremonies as well. We feel in order to achieve the highest level of performance, it’s necessary to divide the roles of wedding DJ and MC between two entertainers. This way the DJ can concentrate on the technical aspects of the performance, the sound, lighting and music selection. The MC, who is no longer constrained by the equipment, can roam freely on a cordless microphone focusing exclusively on your crowd, packing the dance floor and seamlessly guiding everyone through the reception including the speeches, toasts, bridal dance etc. Think of the MC as the personality of the duo while the DJ is the expert technician. By working seamlessly together, they’ll create the incredible wedding reception of your dreams. 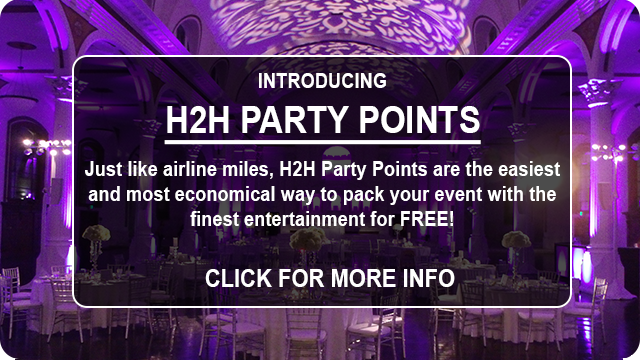 At H2H we make creating the perfect wedding reception easy because everything you need is under one roof. We’ve taken the same care and dedication that we’ve applied to our DJ entertainment and expanded it into other essential wedding day elements like our incredible Fusion Photo Booth, Magic Mirror and Fusion décor lighting. For an extra thrill combine our incredible DJ entertainment with a live percussionist that will amaze your guests! Also, put all of your wedding day worries aside and let one of our Day of Event coordinators make sure everything runs smoothly so you can be a guest at your own reception. 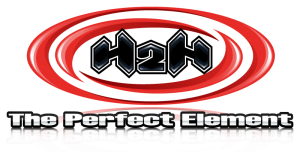 So make the smart choice and book the most trusted name in wedding DJ entertainment, H2H The Perfect Element.